← “Growing” Logistics & Transport Provider for the RHS Fairs & Shows. Watch us “Spring” into action! 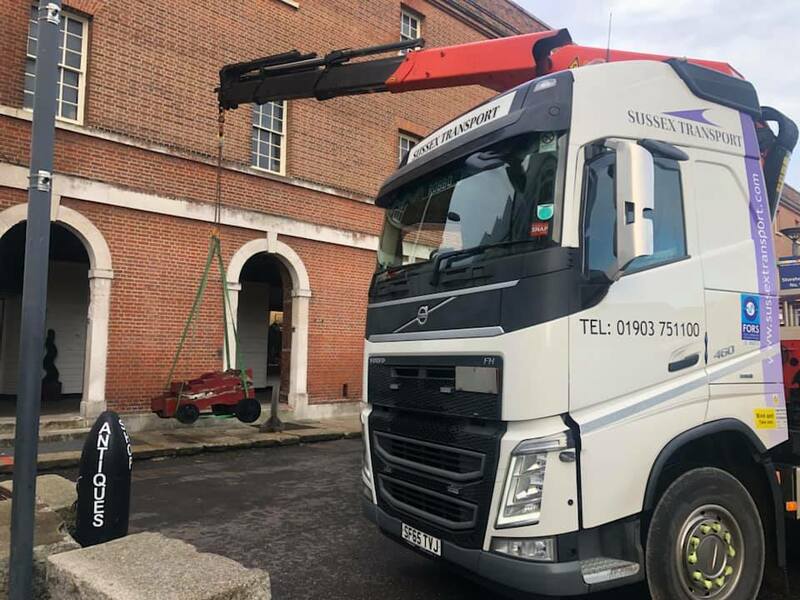 Last week our HIAB was in Portsmouth at the Naval Base to move a very old artifact. 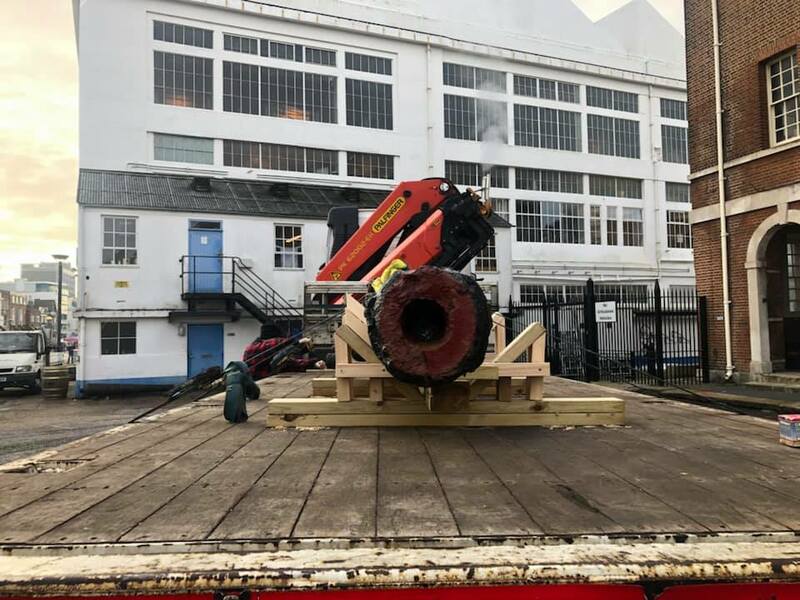 The 17th century Cannon has been snapped up by a private collector and is due a full refurb and restoration. 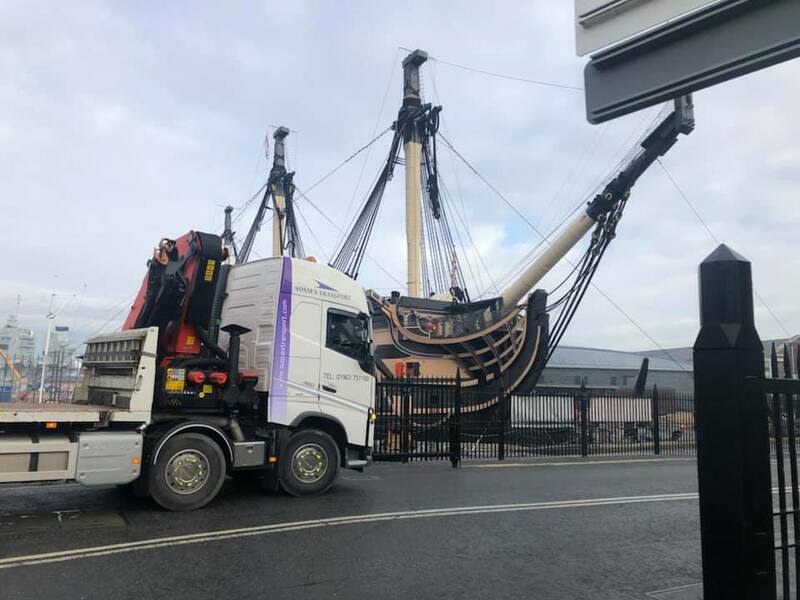 Check out our Drivers snaps below. We can’t wait to see it finished. 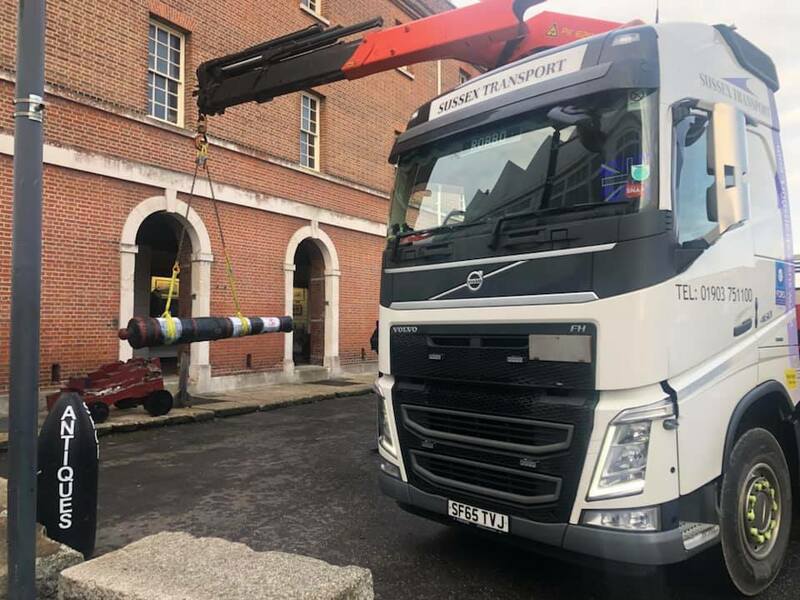 This entry was posted in Delivering to..., HIAB / Crane Lorry Loaders, News, Where are Sussex Transport going..., Where are Sussex Transport..., Working with... and tagged Cannon, hiab, Lorry Loader, Naval base, portsmouth. Bookmark the permalink.